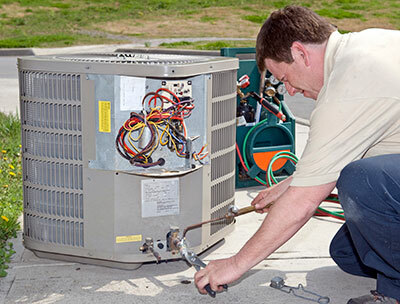 Boerne Air Conditioning Experts are certified AC repair and heating pros who will give you an honest evaluation of your air conditioning and heating system. Give the Experts a call at 830-476-7664 (24/7 Emergency Services Available). 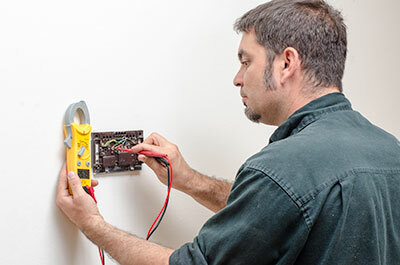 We are the go to experts for repairs and installations in Boerne. Have you had your cooling system break down in the middle of a Boerne heat wave? Don't worry – you need look no further to find the optimal service company for your needs. And don't throw away that broken unit yet – there's no way of knowing what's causing an issue. While some breakdowns can indeed be very costly – up to a point where buying a new one might seem like a better idea – many of them are perfectly manageable with the right professionals on the job. We say "right" because we've really seen some nasty business during our years in the biz. For starters, plenty of companies will try to repair your broken unit while charging for many so-called additional services as possible. Unit repairs and their inner workings are a complicated affair – dishonest contractors use this as an opportunity to blindside customers into paying more money. ​For this reason, your repairs shouldn't be done by just any repair company, but one with a deep understanding of customer-contractor respect. Some of our earliest days in this company involved establishing a reputation on several levels. Sure, our skill on the job was a major factor, but so was the way we treated our customers – more like family and less like just another person bringing a paycheck. You don't need to know why your unit stopped working – we aren't going to ask you a bunch of questions over the phone when all you really want to do is get things back to normal. Instead, we'll send our technician over to accurately assess the score and tell you where to go further. If you are looking for air conditioning repair in Boerne, give us a call! Our initial assessment involves more than just the technicalities – we'll also give you an accurate projection of all the costs you would incur. No shenanigans and nothing left out of the draft bill when dealing with us – you'll know exactly what you're buying and why you're getting it. Because of the immense variety of different manufacturer units and the ways through which they can get broken down, we aren't really able go guess how much work you're looking at and what sort of expenses you'll have as a result. To know where you stand, we'll have to send over for an assessment, but don't worry – our technicians as as polite as they are knowledgeable and will strike the perfect balance between friendly and professional treatment. 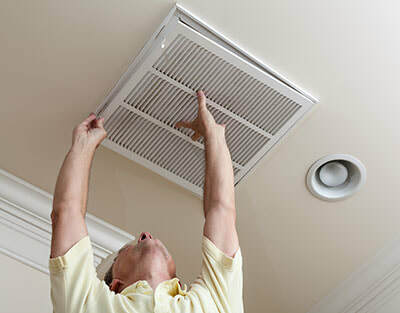 Are you hearing strange sounds from your AC that shouldn't be there? Is the unit dismissing a foul odor for no apparent reason? Don't break your head over what it could be or spend hours on Google worrying if you have the worst possible issue. Simply pick up the phone and give Boerne Air Conditioning Experts a holler – we'll tell you what's what and deal with the situation according to your wishes. And when we do deal, you can expect it will be done with utmost haste – no slacking, no inflated working hours and no wasting of your precious time. Simply put, we want to get your home's ventilation back on track as quickly as possible. Sure enough, when your AC unit outright dies, you know it's time for repairs or even a replacement. Most repairs we do involve clearing issues that have stripped away most if not all of the unit's functionality. But what about the smaller issues, the nuances that lead to the big break? Most home owners are unaware that maintenance is a thing and is every bit as important as keeping any other device in shape. In fact, there are even some contractors that don't offer this service or, alternately, don't do a good job of it.They do say prevention beats treatment, and this is very much true when dealing with delicate electronics equipment such as an air conditioner. Left unchecked, a small issue could fester in your until it becomes a much larger problem – a problem that could end up warranting a full replacement of the device and could cost thousands of dollars more than a prompt response. You wouldn't believe some of the things that find their way inside of an AC unit. Once there, the issues they bring are multi-fold – they threaten the health of those around the home, lower the unit's efficiency and might have a similar effect on its lifespan. Needless to say, cleaning an air conditioner is no small feat and can involve hours of hard work even when done by seasoned veterans of the industry. But it's not just the cleaning that needs to be done inside an air conditioner. Over time, some parts of your cooling system might become worn down or no longer able to fulfill their purpose. This can happen for various reasons, including middling production value, a unit's advanced age, poor treatment and so on. If your unit has some parts that aren't pulling their weight, we aren't about to blame you over not caring for it properly – after all, proper maintenance should be left to the professionals. And who better for the task than Boerne Air Conditioning Experts? With us, you know that our air conditioner tune up will be just that. We're going to focus on what's wrong and what could be better while keeping your schedule in mind. What we won't be doing is treating the tune up as a chance to charge a customer extra. Sure, there's plenty of stuff to do on every unit, but we aren't going to make any moves without your approval – you'll get a detailed list of what should be done and it will be up to you to proceed from there. Don't wait to have your hand forced towards a repair – even moderate repairs can end up being fairly expensive. Instead, have us do a simple checkup that will reveal your air conditioner's insides. You don't need a special reason to give us a call – an utility bill that has been running too high for too long is more than enough to suspect that your AC has been running under the weather and needs to be brought up to speed. Feeling the heat? No matter the size or architecture of your home, Boerne Air Conditioning Experts will find an air conditioning unit for your convenience. How are we so sure in our ability to hook you up with the perfect cooling system? Experience. We've been doing our thing for a while now, and have worked with virtually every unit and on every type of home. Of course, you can install any old AC on most homes, but this can prove a lackluster idea soon. 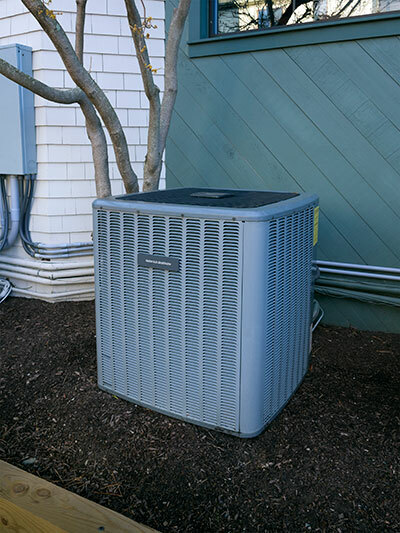 While many air conditioning units try to follow a standard in terms of their capabilities and the space they cover, there are multiple factors that can make or break your purchase. The size of your home is obviously a major factor. In general, the smaller the housing, the easier time you'll have heating and cooling it properly, but there are no guarantees. Your smaller home could still have poor insulation or similar issues that make an air conditioner's life difficult. Likewise, even large homes can be heated with the right system and without drilling a hole in your pocket. For many families, installing a system for the first time is a hurdle for several reasons. For starters, introducing new units to your home and its surrounding area seems like a lot of effort that could compromise its aesthetics. There is also the standard question going through home owners' minds: we've done well without a big system so far, do we really need one? To tackle this question, it's important to treat the unit for what it is: a large quality of life upgrade. With a properly set up cooling and heating system, you will hardly have to worry about being too hot or too cold inside your home, and it's hard to put a price on that. Another issue people can have is working with contractors. Getting recommendations is all good and well, but what happens when you have to go out and find a company that will do right by you? We'd like to alleviate this concern by reminding you we rank among the top contractors in Boerne thanks to our work ethic, dedication and treatment of customers. In our humble opinion, working with us is a breeze! With us, a system installation on your home doesn't have to be something unpleasant to worrisome. No matter the size of the home we're working on, we always try to do our job in as short of a time frame as possible. While working, we'll always take the time to answer any questions you might have and be very mindful of your input. Boerne Air Conditioning Experts take care of every installation from start to finish. Evaluating your home, finding the perfect unit for it, installing it without slowing down your routine – these are all parts of our meticulous yet swift installation method. But you'll have a task of your own while we work: sit back and imagine what your day-to-day will be like with perfect temperature management inside your home year-round. Home appliances breaking down is never pretty a pretty thing. But out of all the things you can have break down in the worst of times, your heating system probably ranks around the very top. As soon as your heater breaks down in the winter, you are on a timeline – the more you wait to have it repaired, the longer you'll suffer the effects of cold temperatures. This is why so many home owners deal with even a small issue with the heater by purchasing a new one. This mode of action is understandable: after all, who wants to wait around freezing while the company makes you an appointment? And when they do arrive, there's no telling how long they'll take working on your unit. But Boerne Air Conditioning Experts aren't your average contractor, and any concerns you could have with a different HVAC installer are not an issue here. We understand that heaters need to be restored without delay, so we've created a model of operation that allows for the quickest response possible. To us, scheduling people in need of heater repairs way into the future just doesn't seem right. That's why we've done everything in our power to fix heaters as soon as we are called. We might not be able to get there right away, but we will put you on our priority list and will try our best to make it there within the same day. Explaining heater repairs would take a sizeable book – because there are so many types of heaters out there, it's virtually impossible to guess what could be wrong with your heater. Most electric and gas heaters have a thermometer that regulates the room temperature and prevents things from getting too hot or too cold. As far as repairs go, a thermometer malfunction is pretty common and not a difficult replacement, yet many people will respond to it by throwing away an otherwise perfectly fine heater. This is just one example of why any malfunctioning heater should be checked before getting rid of it – and with a company that minds clients' hours like we do, there's no reason not to do it. ​Our experts don't specialize in a single aspect of ventilation but are instead well-versed with any heating or cooling device, such as the various forms of heaters. Don't worry whether we'll be able to handle a less common heater, or one that you've had for very long – with the kind of experience we're packing, we have what it takes to handle even the most difficult cases. Since we care about our customers, we'll offer some friendly advice: don't wait for the next cold spell before realizing your heater needs work. Check your heaters periodically even when it's warm outside – a surprisingly cold evening isn't the best time to figure out your HAVC isn't working. If you're unsure of what to look for, give us a call and we'll tell you whether your heater is ready for another round of winter. Lastly, if you've just moved to a larger home or one that doesn't have proper insulation set up yet, there's a good chance your current heater won't do. But how do you choose a new one? As is the case with every service we offer, our heater replacements are slow and methodical and are meant to outfit each client with the perfect heater for their needs. We start off by asking about your previous heating systems and how well they worked as well as your utility bills during the summer and winter. We can also examine the previous heater to see what caused it to break down – if there is an issue with your home's installations, this will prevent any new heater from experiencing the same fate. Once we know the score, we're ready to get to work. Of course, our heater replacements don't have to mean a complete re-do. In some cases, we will only need to replace a single radiator in an otherwise perfectly working heating system. There's no question that manufacturing heaters is a lucrative business. New models of heaters seem to pop up daily, but they rarely ever offer anything new or better than the predecessors. This is why there's no better way to choose a new heater than through the help of a licensed professional – we will know exactly what works and what doesn't and how to incorporate it into your home. In line with this, you aren't forced to sift through countless heater models in order to find one that works for you – we will present you with some of the top choices in various budget ranges to minimize the hassle involved for you. ​Aside from the replacement itself, Boerne Air Conditioning Experts can also help evaluate the insulation inside your home. Truth be told, even the best heating system can turn out mediocre if the home it's heating lacks the necessary insulation to keep heat in and cold out. As we're installing the heater, we'll keep an eye out for any problematic areas that could make the heater's job harder. If necessary, we can also kelp you patch those holes and crevasses – as well as put some work on the doors and windows – to ensure your home has a perfect temperature year-round. Do you get the feeling that your heater has been under performing in recent months or years? Everything has an expiration date, but that doesn't have to mean your trusty heater is getting ready for the bin. Most heaters are fairly complex pieces of equipment. A breakdown of a single component – even a small one – could cause the entire heater to perform poorly of cease working altogether. 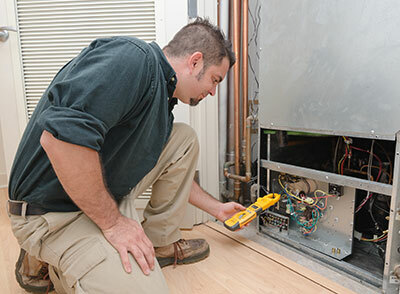 Of course, repairs are good and a far better option than throwing away any malfunctioned heater, but we feel there is no better option than to perform an additional checkup every now and then. Yes, while we deal primarily in installation and repairs, there's no reason why we wouldn't heed the call of someone looking to make sure everything is in order as winter approaches. 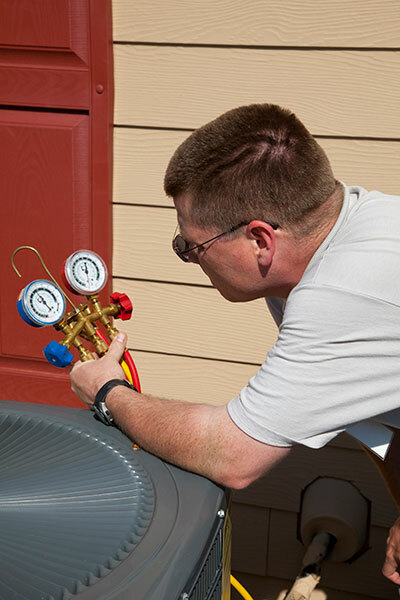 Heater tune ups by Boerne Air Conditioning Experts are as in-depth as they come and yet we won't take much of your time while getting the lay of the land. How? Simple: we know exactly what to look for and are almost guaranteed to have worked with a similar heater in the past, be it a standalone appliance or an entire central system. There are some things to note when it comes to heater tune ups. Firstly, you can't do a tune up on your own – even with all the good will and documentation, you are not only guaranteed to miss out on key elements but might actually cause an issue. Furthermore, a checkup does a lot more than locate malfunctioning parts of a heater. When we open up your heater, we won't just look for ways to keep it in shape but will actually try to improve it, be it through minor replacements, cleaning or anything else that might address something less than satisfactory. How often should you have your heaters tuned up? It really depends on how often you're using them. Of course, heaters suffer a lot more wear and tear in the winter, but that doesn't make them immune during the spring and summer – in fact, having your heater checked up before the season is the best way not to get caught unprepared. That's fine, though – when working with us, you don't need to carefully manage your budget and treat every visit like a major expense. Since we try to do good by each and every customer, we'll be transparent about the issues we find in your heater and we'll never try and force you to have any repairs you don't want. We will go over everything we found with you and explain the severity of each issue, letting you decide what needs changing on your own. Keep in mind that seemingly unnecessary upgrades of your heater's components can turn out to be a great investment. Replacing those wires and gears can be seen as a hassle and an expense, but doing so could lower your utility bills for years to come, especially if you're satisfied with your heater and have no plans on changing it any time soon.